Please tell us all about your poodle dog or puppy, and we'll put your poodle stories on our website for everyone to read. What kind of personality does he or she have? What makes him or her so special? Poodles are such smart animals who love to have fun and show us their personalities. Tell us your best stories! They can be moving, dramatic, amazing or funny. As long as they are about a poodle, we’d love to read and publish them. And, other dog lovers around the world will appreciate them, too! What Makes Your Pooch Special? Did your dog invent a game that the two of you love to play? Did she have a birthday party complete with doggie friends, cake and ice cream? Does she have a favorite piece of furniture that is hers and hers alone? If so, tell us about it and share your photographs from that memorable day! 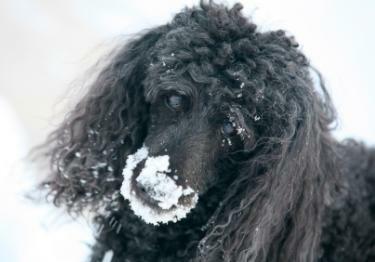 Please upload your pictures of poodles to share with everyone so we can add it to your poodle dog stories. You can also read what other visitors had to say about their poodles. You can tell us about your dog's personality, how you met your poodle, how you adopted him or her, what makes him special, or what hobbies or activities you share together. Tell our readers your stories! If you have amazing pet stories to share, this is the place! It’s easy to do. Just type your dog story in the user friendly form, and add a picture of your pooch. 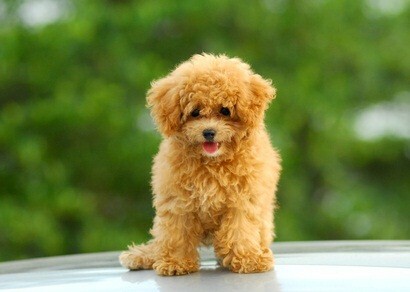 Then let thousands of fellow poodle lovers around the world enjoy the story of your cutie pie. When your story is published, you’ll receive a confirmation e-mail and your dog story will appear at the bottom of the page with visitors’ contributions. So if you have a great story about your poodle - share it! 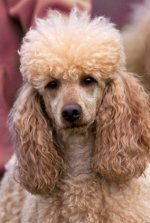 Do you have a great story about your poodle? Share it with the world!